Remote freezers are ideal for the display of large volumes of frozen food. The refrigeration is housed on the outside of the premises making for a quieter and more energy efficient display. This, in turn, provides a better shopping experience for your customers and allows the freezer to run more efficiently thus saving you money. For more information on the Corr Chilled remote freezer range call us today on 0161 442 9174 and one of the team will be happy to help! 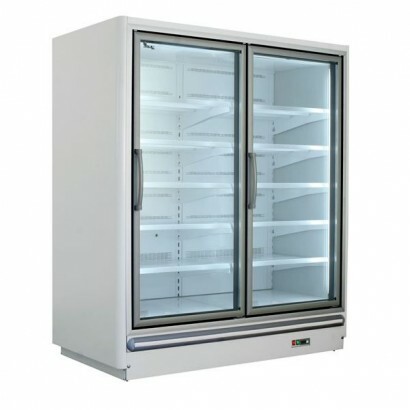 The Alpine OSLO is a high capacity remote display freezer suitable for frozen foods and ice cream. T.. The Alpine OSLO remote display freezer is a high capacity unit with 2 or 3 door options and refriger..